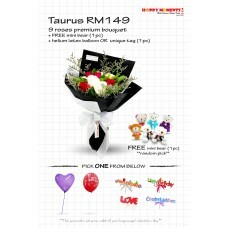 These promotion package is available throughout 2018. 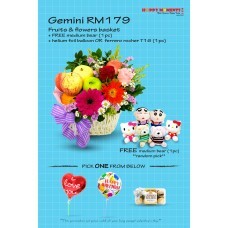 Fruits & Flowers Basket + FREE mini Bear (1pc) + 1 Helium Latex Balloon or 1 unique Tag..
9 Roses Premium Bouquet + FREE mini Bear (1pc) + 1 Helium Latex Balloon or 1 unique Tag..
12 Roses Premium Bouquet + FREE mini Bear (1pc) + 1 Helium Latex Balloon or 1 unique Tag..
6 Roses & 6 Ferrero Bouquet + FREE mini Bear (1pc) + 1 Helium Latex Balloon or 1 unique Tag.. 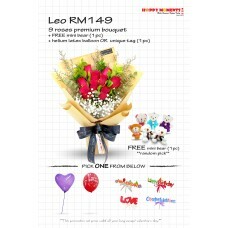 Roses & Eustoma Vase Arrangement + FREE mini Bear (1pc) + 1 Helium Latex Balloon or 1 unique Tag.. 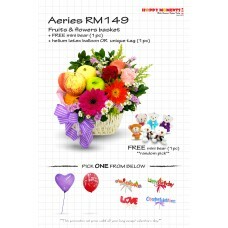 Fruits & Flowers Basket + FREE medium Bear (1pc) + 1 Helium Foil Balloon or 1 box Ferrero Rocher T16..
9 Roses Premium Bouquet + FREE medium Bear (1pc) + 1 Helium Foil Balloon or 1 box Ferrero Rocher T16..
12 Roses Premium Bouquet + FREE medium Bear (1pc) + 1 Helium Foil Balloon or 1 box Ferrero Rocher T16..
6 Roses & 6 Ferrero Chocolate Bouquet + FREE medium Bear (1pc) + 1 Helium Foil Balloon or 1 box Ferrero Rocher T16.. 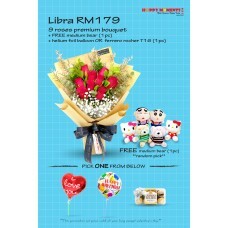 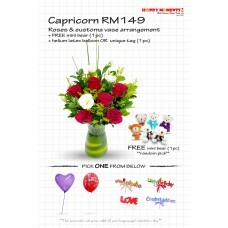 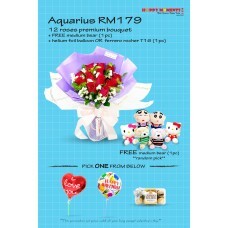 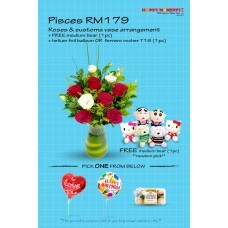 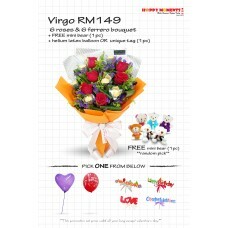 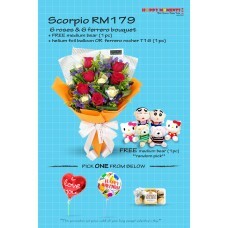 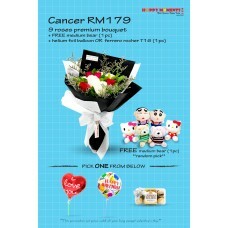 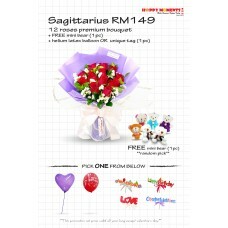 Roses & Eustoma Vase Arrangement + FREE medium Bear (1pc) + 1 Helium Foil Balloon or 1 box Ferrero Rocher T16..